La Viziatta might be the oddest gelato shop I’ve ever been to. It’s inside a video game store. I don’t mean that they’re neighbours, or that they sell gelato on one floor and games on another. 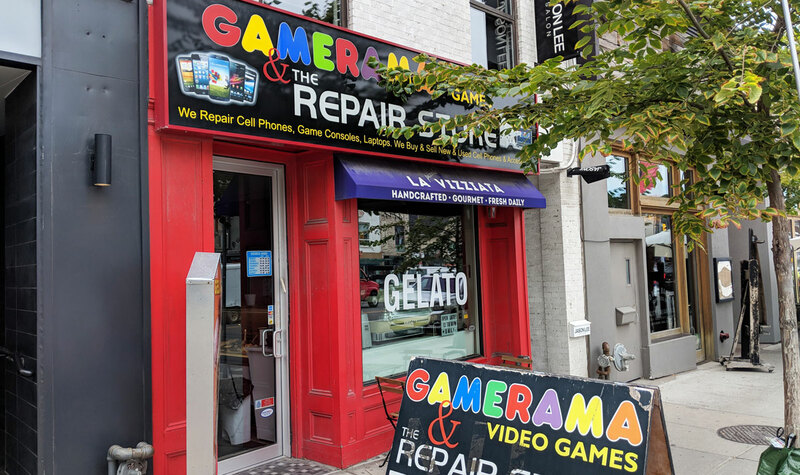 I mean that it’s a video game store with a gelato counter. But sure, why not? I’m sure the costs to operate a business in a high-traffic spot like Yonge and Eglinton are quite high. So if you can split them with someone else, you may as well go for it. And they have an interesting assortment of flavours, including the one that brought me here: peanut butter and jelly. Sadly, it’s not nearly as amazing as you’d hope. 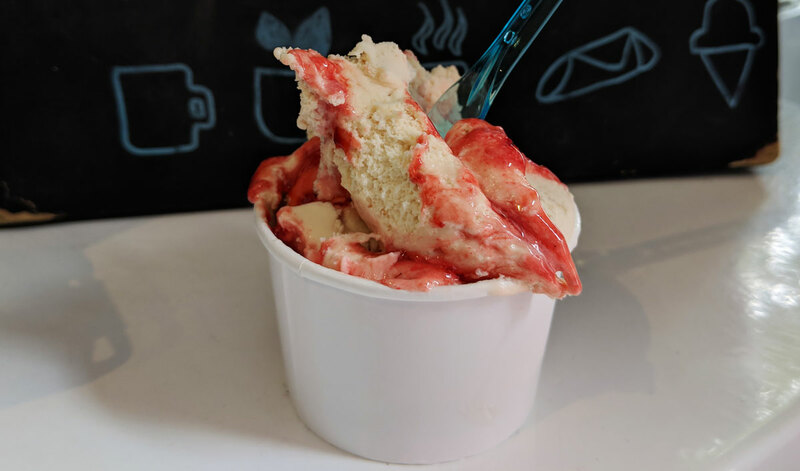 The gelato isn’t particularly creamy, the peanut butter flavour is fairly anemic, and the “jelly” is actually an overly sweet syrup rather than jam or jelly. None of the elements are particularly offensive — I ate it all, and if you put another cup in front of me I’d eat that too — but nothing is as tasty as it should be. Of course, it’s hard not to compare it to the PB and J flavour at Bang Bang, which is almost unfair — that might just be one of the best scoops of ice cream that I’ve ever had. It’s the exact opposite of what they’re serving here: it’s super rich, it has an intense peanut butter flavour, and the balance with the jam is absolutely perfect. Next Great Margherita Pizza at Pi Co.